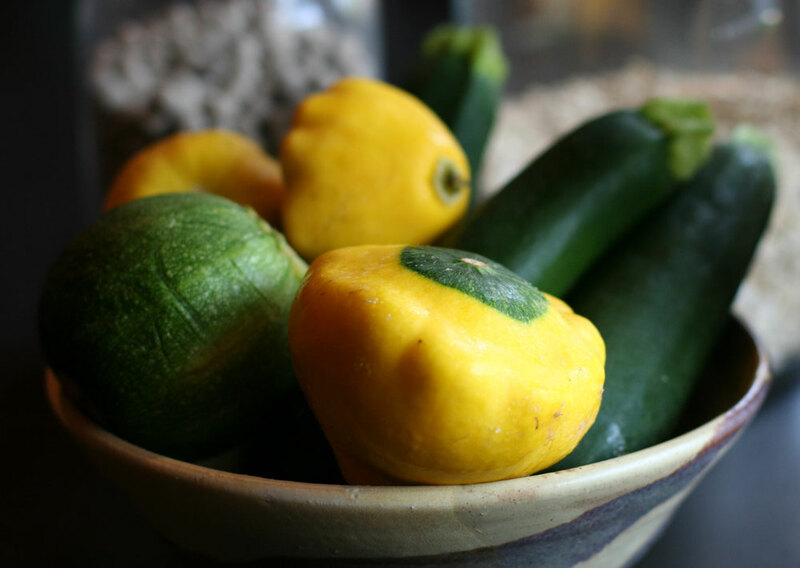 Zucchini (or courgettes) are prolific summer squash that can feed an army from one or two plants. I remember the summer I raised 3 plants and supplied our neighborhood with a steady supply! Zucchinis are best used young before they grow beyond the size of your forearm. Stuffing zucchini is a great way to make them a starring main course. You’ll find many stuffed zucchini recipes below that use both meat and vegetable fillings. It’s amazing how many different filling ideas there. Use these as inspiration to try something new this year! Stuffed with a meat and rice mixture seasoned with allspice, these zucchini are cooked in a tomato sauce. This stuffing features Italian sausage mixed with scallions, tomatoes, mozzarella, basil and pine nuts. Creamy and rich, this recipe stuffs the zucchini with ricotta cheese, mozzarella, parmesan and seasons the mix with basil and fresh lemon juice. Filled with artichoke hearts, sun-dried tomatoes, and toasted pine nuts, this recipe is topped with a crispy parmesan panko. Rachael Ray stuff’s her zucchini with a mix of mushrooms, onion, garlic, tomatoes and seasoned bread crumbs. Featuring lamb, this stuffing uses red peppers, onion, feta and olives. Emeril fills his zucchini with either lamb or pork and seasons with basil, thyme and garlic then tops with gruyere. The filling pairs sausage with tangy apples, as well as carrot, celery, and fennel seed. Elise blends finely chopped ham with sliced mushrooms, bread crumbs and cheese then seasons with worcestershire sauce and cayenne. Simply and healthy, these zucchini are filled with onion, tofu, chili powder, garlic, marinara and parmesan cheese. Had no idea there were so many types of stuffed zucchini! I’ll keep this bookmarked for when my parents’ garden is ready to harvest, our zucchinis are always enormous.